Ebates is my favorite cashback site - I've received over $300 and you can too! I've scored over $300 by shopping online through Ebates! It's so easy to do, your kind of crazy not to! Plus, right now you can score a $10 gift card for free! 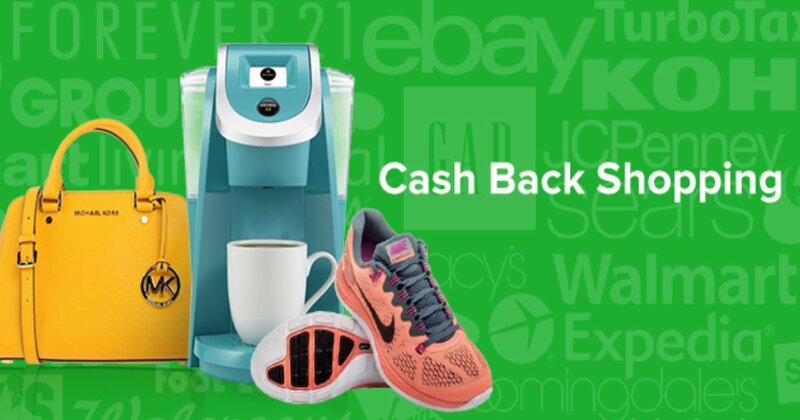 Plus, right now Ebates is giving DOUBLE cash Back! It's VERY simple. Whenever I want to buy something online I just go to Ebates FIRST and then I type the store I want in their search box and click their link to open the store in another tab. I've earned my most cashback last year by shopping at Kohl's, Walmart and Macy's. Also, when I book a vacation online with sites like Orbitz, Hotwire, Travelocity etc I will make sure I go through Ebates. Stopping at Ebates.com first will become routine the more you do it. Not all stores give cash back but MANY do. You will earn a Free $10 gift card just for signing up and using Ebates. You can also earn in-store cash back by preselecting store's you plan to shop at and tying your credit/debit card to your account. After you make your first online purchase at ANY online store of $25 or more they will email you a $10 gift card of your choice. When it's pay out time you can get 20% more cash back by choosing to be paid by an e-gift card to stores like Old Navy, Kohl's and more. Other options for getting paid is by good old fashion check and paypal.